—Simon Moss, Tschops Sipuka, Terry Moss (Terry Moss Racing). —Simon Moss, Terry Moss, Tschops Sipuka. "After I finished driving and started Terry Moss Racing in 1991, the man that migrated to Audi with me was Tschops Sipuka, and when we were looking at our team restructure for 2019, I thought to myself that there’s no-one better to join the team than Tschops," said team owner Terry Moss. "We did so much groundwork for the team in the early days together, and won two Volkswagen Cup titles in 2002 and 2003 against the best in the country. From there on and with Michael Stephen as part of our team, our success as the Audi racing team only progressed further. "Terry Moss Racing has had a close relationship with Audi and in so doing, we’ve collected the last three championships in GTC, and previously claimed the last 3 championship titles in Super Production Cars in all-wheel drive Audi A4 cars, with results speaking for themselves," concluded Moss. "When Tschops first raced for my father I was only in school, so I’ve watched his whole career unfold in front of me, but I’m excited to have him as my teammate," said Simon Moss. "We’ll both be out there to take the championship, it belongs with the Audi team. After finishing second last year, it’s my goal to be right up there and win the championship and for us to get a 1-2 finish again. It’s a privilege to have Tschops next to me, having won the Polo Cup titles that he has and while I’ll help him where I can, I think I’m going to be learning a lot more from him." 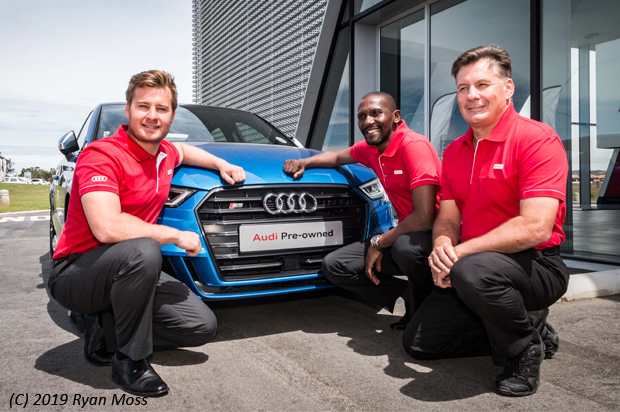 "The relationship between Audi and Terry Moss Racing began in the early 1980s and our brand cannot be more prouder to show our support and back the new team in the 2019 GTC Africa Championship. The formidable duo of Simon Moss and Tschops Sipuka epitomize what Vorsprung stands for - strong character, dedication, raw talent and a desire to achieve greatness. 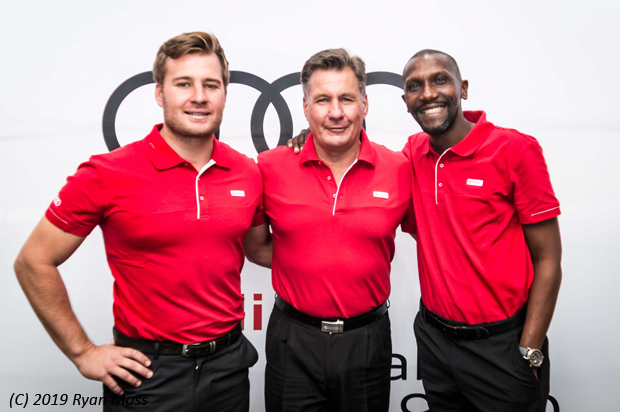 For us, the new racing team structure represents advancement, progress and a position that we are ready to take this team to the next level,” said Trevor Hill, Head of Audi South Africa. © 2019 Photos / Words: Ryan Moss / Christine Moss (1nvolved.com).